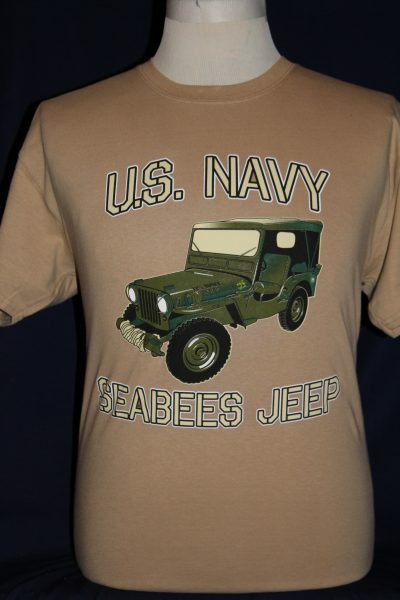 The Seabee's M38 Jeep T-shirt is a two sided print in tan. 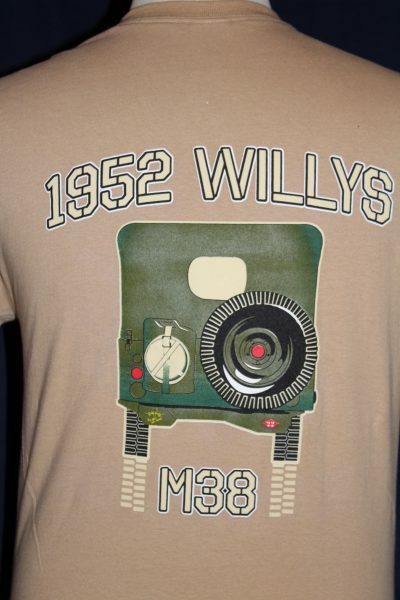 Front Design: Left front view of the M38 Jeep. 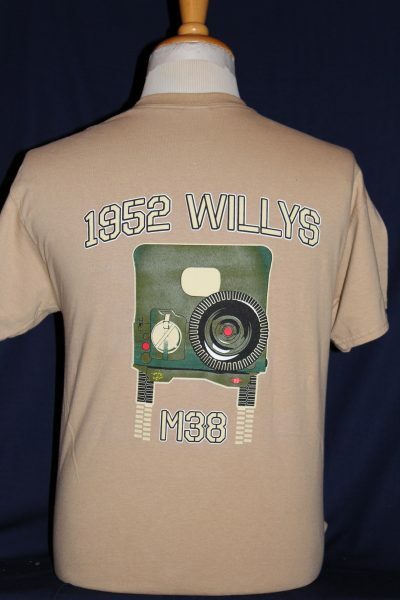 A 1952 Willy's M38 restored in correct color and serial number. 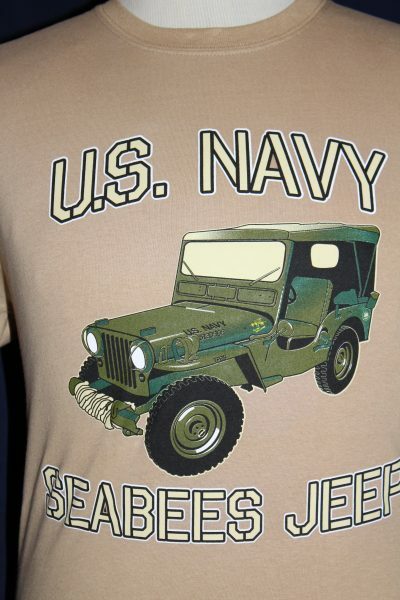 Back Design: Displays the jeep moving away from the viewer.